Unfortunately, despite everyone’s best efforts, the performance by Moscow Drug Club on Friday 01 February has been postponed due to the weather. 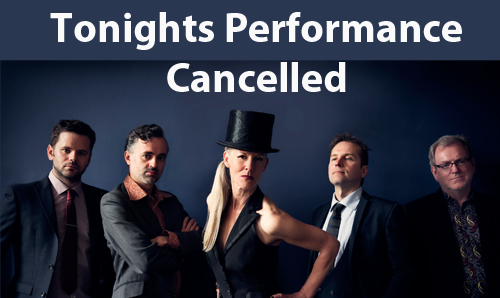 The performance has been rescheduled for Friday 26 April. You can purchase tickets for the performance here. Any tickets purchased for tonight will obviously carry over to the rescheduled event should you wish. We understand that you may not be able to make the rescheduled date so we are offering refunds to you as well or a credit voucher to be used on any of our future shows if you do not wish to attend Moscow Drug Club’s rescheduled performance.